← Beer Bread for St. Patrick’s Day! 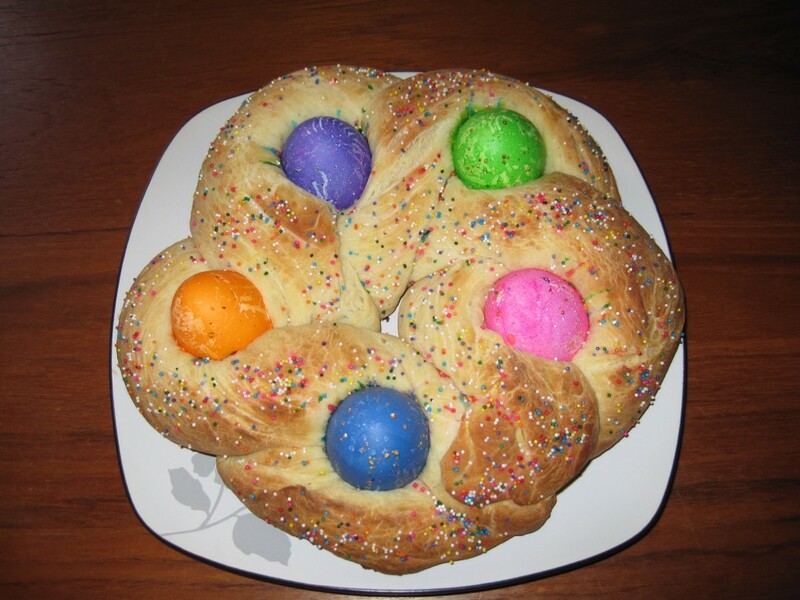 A few years ago I made Easter egg bread for the first time, and I’ve been hooked ever since. I LOVE how it comes out, with the exception of the eggs. Since I have to dye them raw (they cook as the bread cooks), the color doesn’t really stick to the shell. 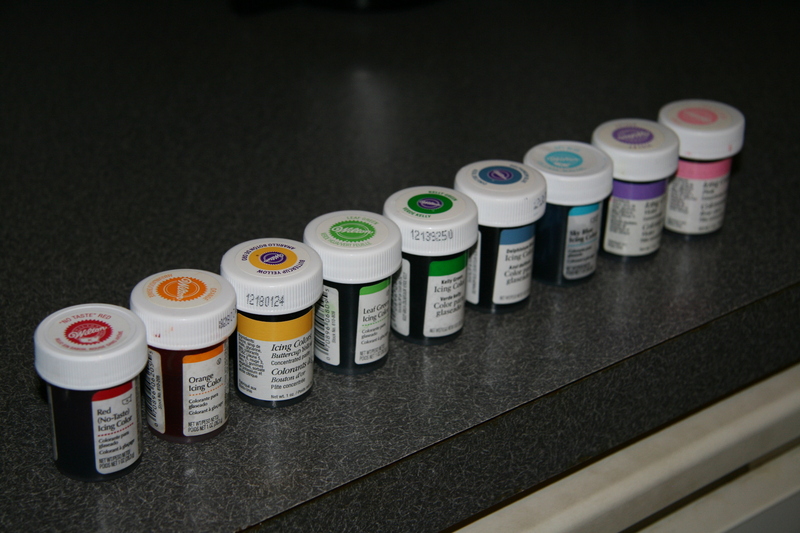 I’ve been able to get beyond pastel shades, but I’d still prefer deeper and more vibrant colors. Love my bread, but the eggs could be brighter and more uniform in color. 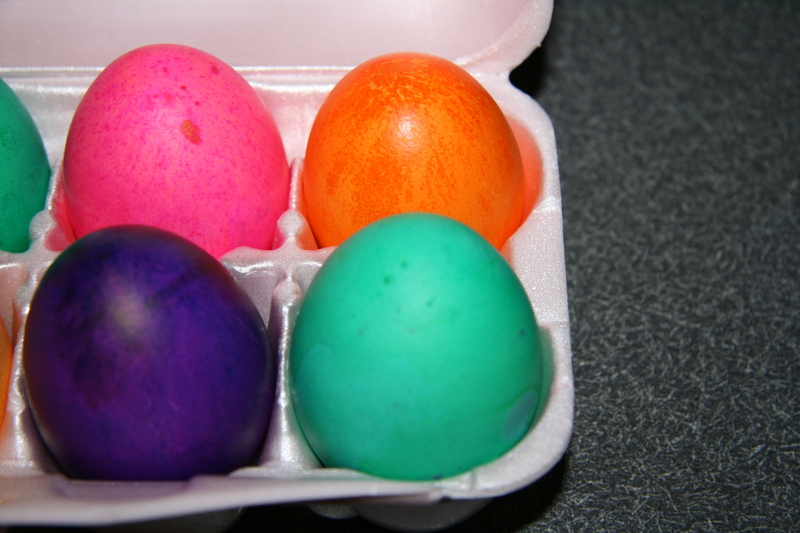 I searched online and found that some people color their eggs with Wilton gel icing color. Since I have a bunch of colors readily available, I decided to give it a try. 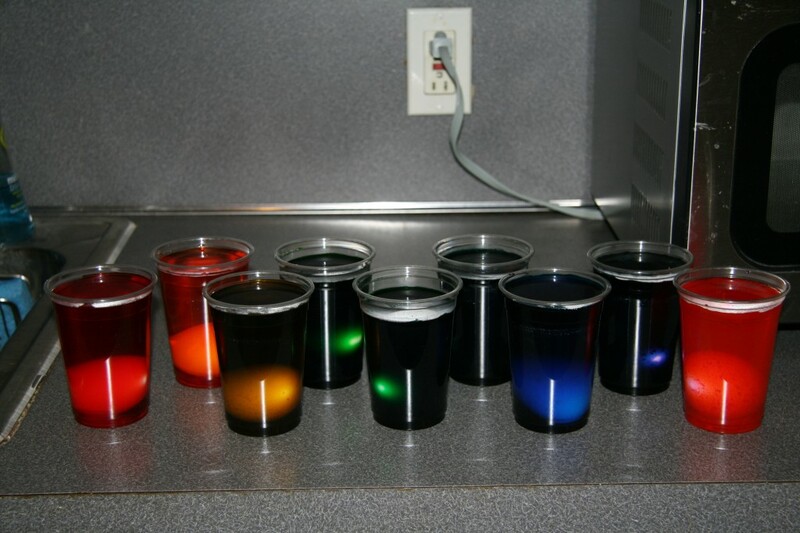 The Pros: Beautiful, vibrant colors. 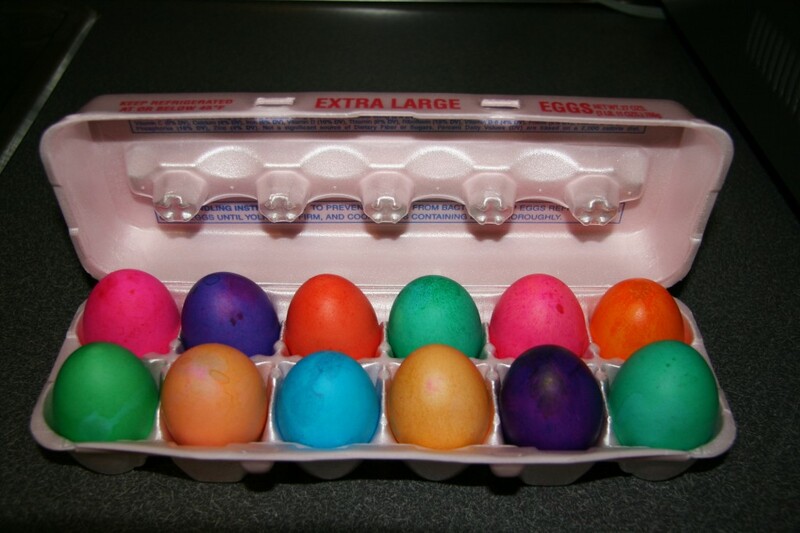 The Cons: If your gel is old and can’t easily dissolve in hot water, then you can get splotches of dye on your eggs. 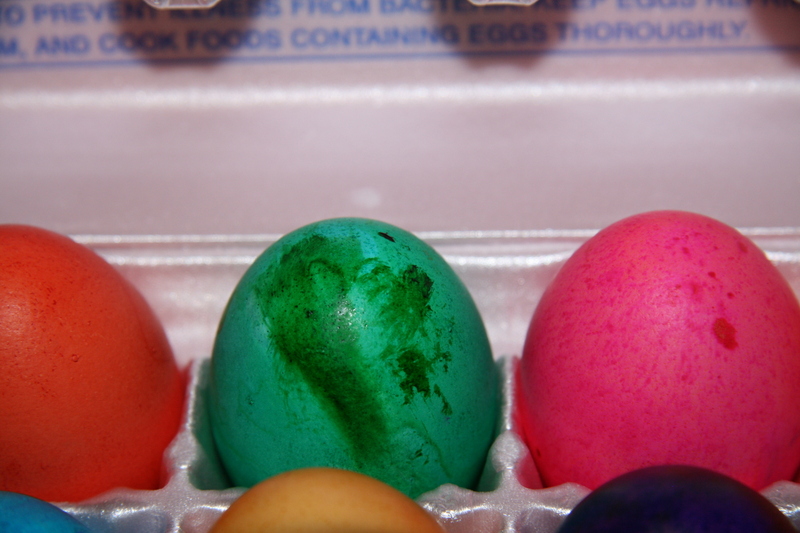 This didn’t happen for many eggs, and I noticed when making the dye that my green gel seemed especially dried out. So if your gel is the correct consistency, you should be fine. This method definitely allows for much brighter dying of raw eggs, and now my eggs are all ready to be baked into my bread! 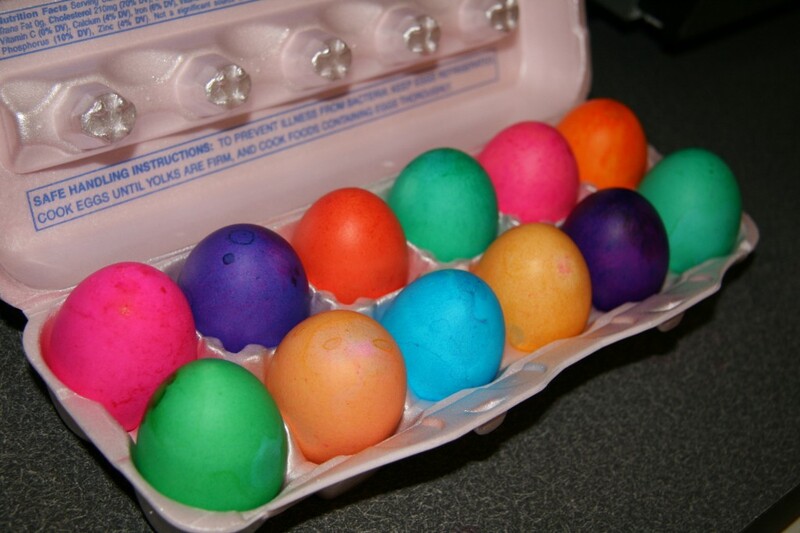 Remove eggs with a spoon and place on a cooling rack that has been placed on top of paper towels.